dispute or bargain persistently, especially over the cost of something. noua period of persistent bargaining. Welcome back to another edition of the Team Santa Inc. News Daily. 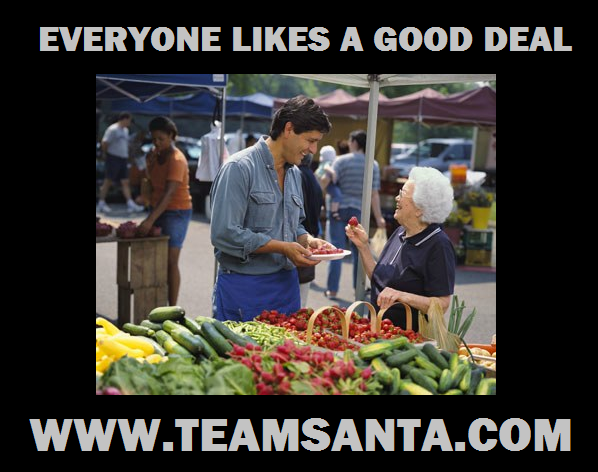 Quickly, I would like to remind everyone that “haggling” is still going on at all Team Santa Inc. web stores. You can make an offer on your choice of over 15,000 assorted lighted Christmas trees, string lights and holiday decorations. I promise you will save a ton of cash if you heed this advice and get to a Team Santa Inc. web store before it gets too busy. My suggestion to everyone reading this post, that before you purchase your lighted tree, holiday string lights and/or Christmas decorations, you must go to the websites above. I promise that you will save a ton of cash. Now I must be off. It is starting to get busy at Team Santa Inc. and I cannot keep our customers waiting.